It’s no secret by now that I am a racing game fanatic and play practically any racing game I can get my hands on. Whether it’s a simulation like F1 2010 or an arcade racer like Burnout, I play these games because I enjoy them and because they satisfy my appetite for speed. Even a bout of Mario Kart is worth the drive, in my opinion. It’s also no secret, however, that I believe that the genre as a whole doesn’t get the critical attention that it deserves, seemingly acting as a fun diversion for the majority of players while the big-name shooters and RPGs of the world get all the attention. This bothers me, as I’ve expressed before, and part of my motivations for Raptured Reality these days is to try and change that perception and give the genre the investigation, analysis and dedication that it deserves. Enter my newest series, Behind The Wheel, in which I’ll discuss racing games thoroughly, and where (almost) anything goes. I’ve played around with the idea of writing in depth about racing games before, approaching it from a variety of angles but not really finding one that meets the desires I have when it comes to covering the genre critically. My Friday Night Forza series lasted only two posts because I felt like it focused on one game far too much, and wasn’t really discussing the actual game in any analytical sense. What I did cover in those two articles, however, was important because they highlighted how racing games can go beyond the simple act of going fast and become so much more, teaching players, indirectly, experiences that they might not have been aware of previously. My F1 2010 Living The Life series, on the other hand, demonstrates the genre’s potential to -- again -- go beyond the act of going fast and tell stories, even if those stories are created out of a particular approach to playing. I’m proud of a lot of what I have written in the three years I have been blogging here -- stuff like my Heavy Rain and Fahrenheit coverage comes to mind -- but I can say with confidence that the Living The Life series is the best thing I’ve ever done, not necessarily due to its content but because of how it enlightened me to so many things that I was oblivious to. From the aforementioned storytelling to the emotions playing it in that way has inspired in me, the approach has been invigorating and I hope to use that experience to enhance not only other games in the future, but possibly other aspects of my life as well. But it’s not criticism, is it? Playing F1 2010 with an intentional “I’m the driver, here’s how my races fared” approach isn’t taking the actual game, analyzing it, and discovering why it’s so good, what flaws it has and where it should go in the future. Talking about driver mentalities or hard to describe phenomena in relation to a simulation like Forza Motorsport 3 isn’t breaking that game down, investigating what it does and doesn’t do within the franchise it exists in, or the competition it aims to overthrow. Hell, even answering the question as to what my favourite racing game ever may be isn’t doing anything substantial other than offering my opinion and explaining why. This annoys me because it goes against my intentions for covering the genre here on the blog: it’s not discussing them in depth and offering a perspective that others cannot, because they don’t have the same experience with the genre as I do. It’s fine to experiment the way I have in the past if it’s alongside these genuine criticisms and analysis of individual racing games, but if doing one is to the exclusion of the other then I am doing it wrong (so to speak) and this is something I’d like to change. So that’s what this new series is about. Instead of experimentations that could go anywhere or discussion on subjects that mean little to anyone other than me, I’ll actually be focusing on games like Gran Turismo 5, Wipeout HD, Blur (etc.) to understand them and explain, to you guys, why they are what they are and why I find them so enjoyable (or not). I’ll still continue to experiment as I find ways to articulate the many thoughts I have about the genre, but it will be tangential to the criticism and analysis and, hopefully, enhance the discussion rather than control it. I will also continue my F1 2010 story because, as I said before, I find it fascinating and want to relay that to you, but I will also analyse the game so it is clear as to why I love it so much, and why it has enabled me to tell my story to begin with. 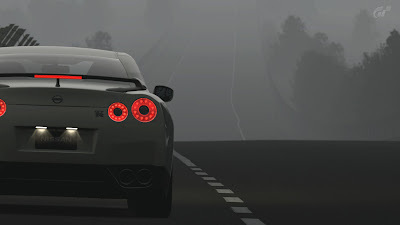 First, however, I’m going to turn my attention towards Gran Turismo 5 -- a controversial and inconsistent racing game -- and the recently released Test Drive Unlimited 2, as a nice (and intentional) contrast of styles within the racing genre. Join me again tomorrow for the first of these posts, looking at where GT5 stands as a product (as opposed to a simulation, or to its competition).